United States Security headquarters, wey be Pentagon, don inform di US Congress say dem don conclude plans to sell 12 Super Tucano A-29 war planes to Nigeria. Dem say di planes, plus other things wey go follow dem, go reach like $593 million. 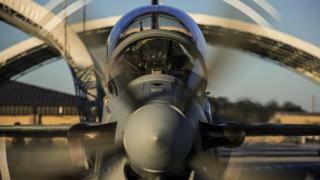 Nigeria wan buy di 12 Super Tucano A-29 planes and other weapons because dem want use am fight Boko Haram. The Embraer EMB 314 Super Tucano, also named ALX or A-29, na one sharp attack war plane wey dem dey take monitor enemy and fit see enemy well, well for night. Na former President Barack Obama government been plan to sell di plan dem to Nigeria but im government delay to sell dem after Nigeria military bin make mistake for one Air operation for January 2017. Dat time, na like 90 people, especially women and children, na im Nigeria army take mistake kill when dia plane bomb one camp for North-East Nigeria, where thousands of people wey run from Boko Haram dey stay.